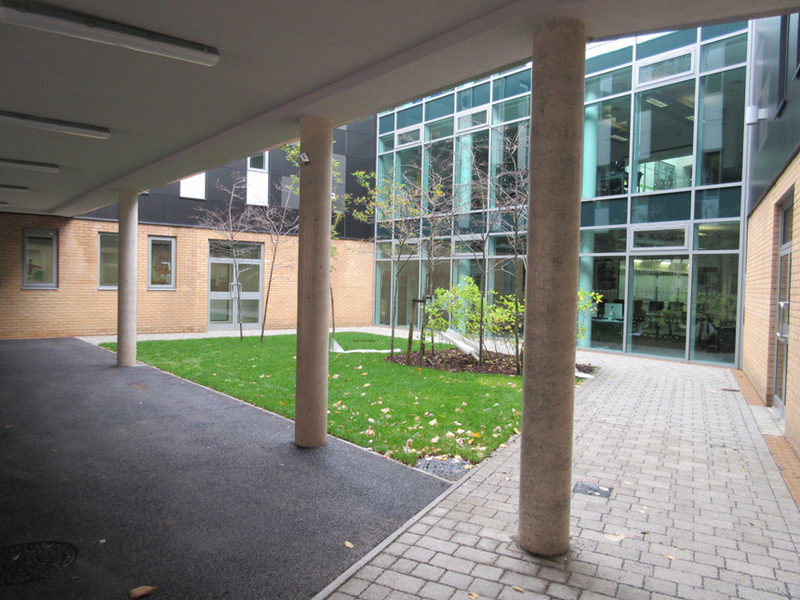 An expansion to Skinners’ Academy in Hackney provides additional space for a 250 place sixth form. 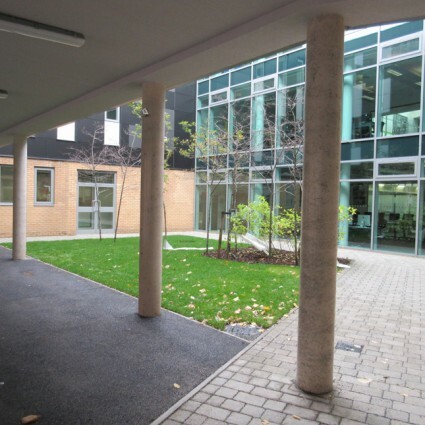 Two infill extensions are cleverly integrated into the existing school: one is a three storey infill to the western end of the school to provide additional classrooms and relocation of the Inclusion Zone. The other is a roof extension located on an existing underused roof terrace. 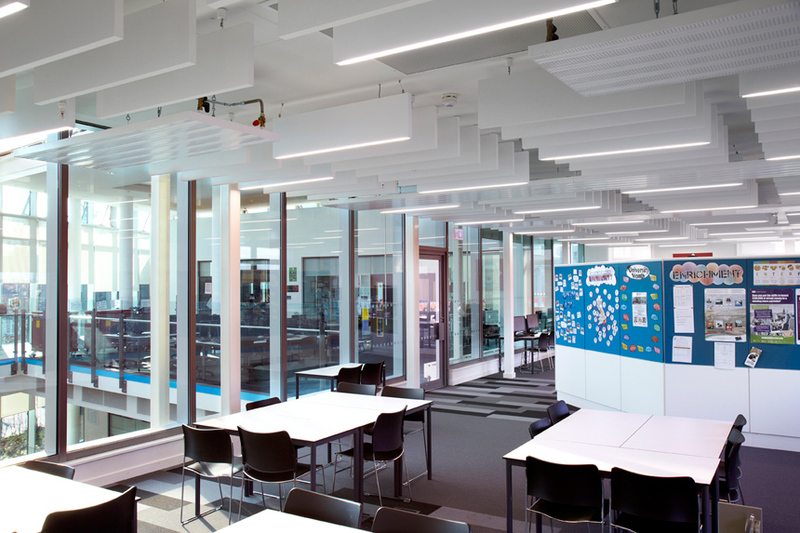 This provides dedicated sixth form social and study areas. New external works include re-landscaping of soft areas in order to address ground condition issues providing usable space as the school’s population grows. An earlier phase of work delivered additional science laboratories. 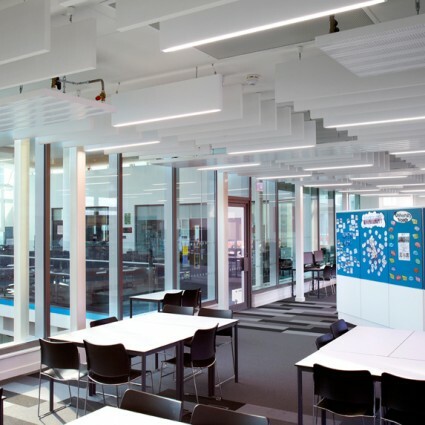 "The contemporary feel to the sixth form area with its vast, open space provides the ideal environment for both study and socialising."